This towering wooden chair once had an equally giant chest of drawers as a companion. Both had been stationed in front of a furniture store. Alas, a fire destroyed the store and the chest of drawers. The furniture store is up and running again but the chest of drawers has not been resurrected. 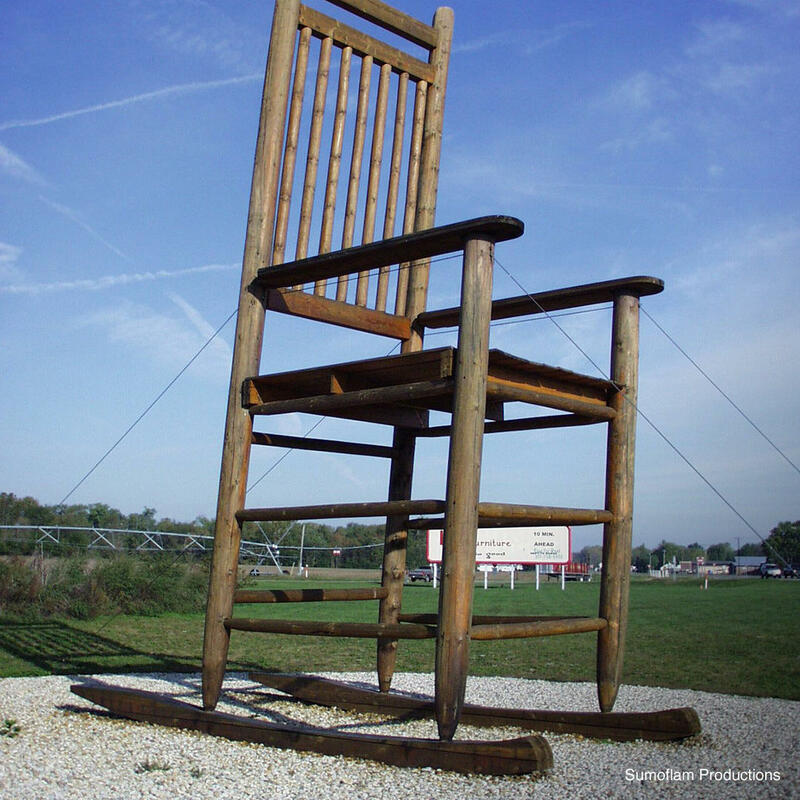 The giant rocking chair survived and is still the World's Largest.